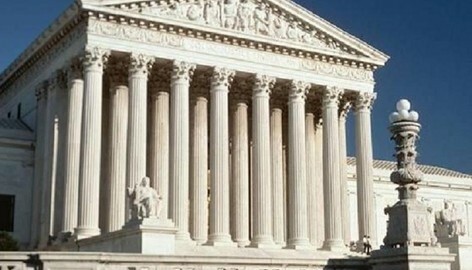 Supreme Court heard arguments today on an issue that will impact “aged-out” children. Today the Supreme Court (SCOTUS) heard arguments in the case Mayorkas v. De Osorio which addresses the question of whether children who are derivative beneficiaries of preference category family petitions can automatically convert their petitions to a different petitioner and retain the same priority date. The transcript of the argument can be found here. It’s dense reading but worth the slog. If the SCOTUS issues a favorable decision, it could mean that derivative beneficiary children who age out (turn 21) may have the original petition convert to that of the parent who has just newly become a lawful permanent resident and use the priority date of the original petition. To give an example–say Samantha, a US citizen, files a visa petition for her brother Henry (this would be a F4 preference category petition), and Henry has a 16 year old son named Jimmy. When the visa petition finally becomes current after many years of waiting, Henry can seek an immigrant visa but under current law, little Jimmy who now is 27 and goes by “Jim” can no longer immigrate as a derivate child beneficiary. If SCOTUS rules favorably, then the US government will treat the petition filed by Aunt Samantha as if it was filed by Jim’s father with the priority date of the original petition filed by Samantha. This would mean under current visa availability, a visa number would be immediately available for Jim and he will be able to join his father with little or no delay. The SCOTUS may rule this way or they could possibly require that an actual petition has to be separately filed by the lawful permanent resident father. Either way, it would be a great victory for aged-out children everywhere! Stay tuned– the SCOTUS has until June 2014 to issue its decision.